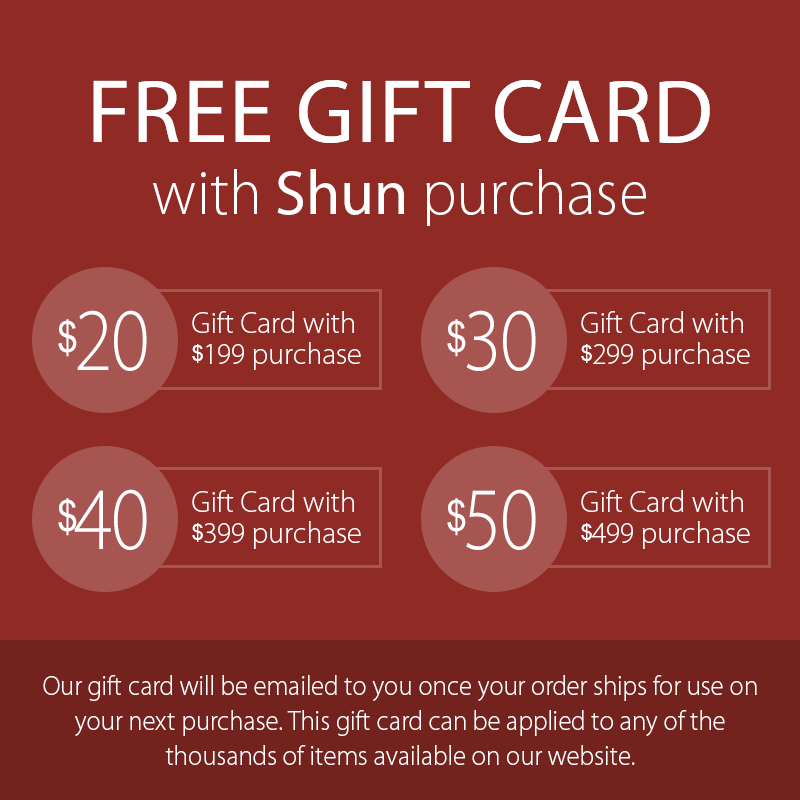 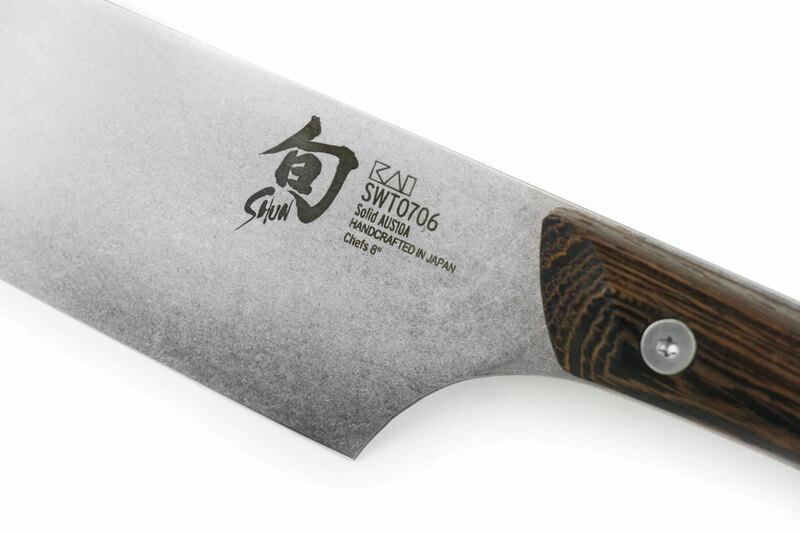 The Shun Kanso Chef's Knife is ideal for a wide variety of cutting tasks. 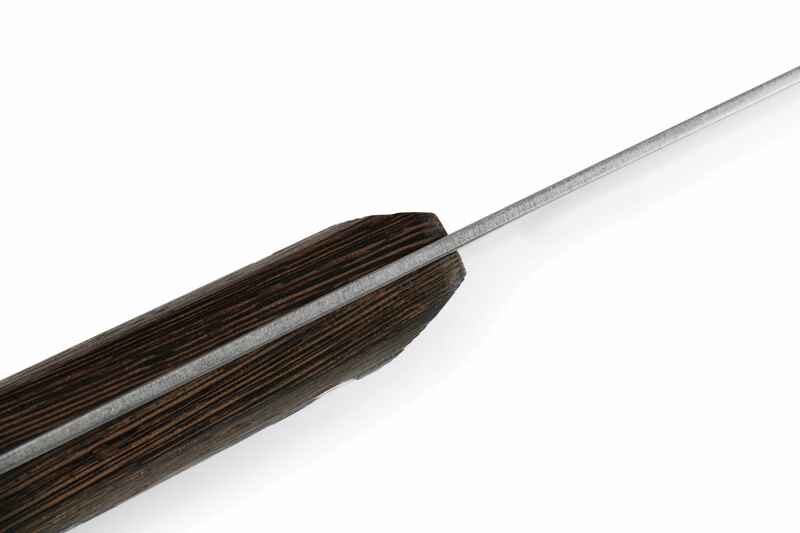 The 8-inch length is perfect for preparing fruits, vegetables, proteins, and a wide variety of other foods. 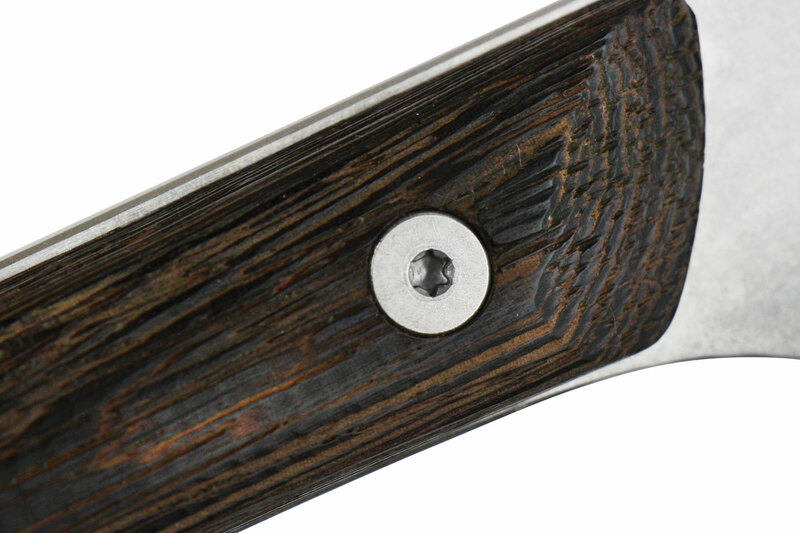 It's based on its Asian counterpart, the Gyuto and offers a wider heel with a fairly flat profile toward the heel, perfect for push cuts. 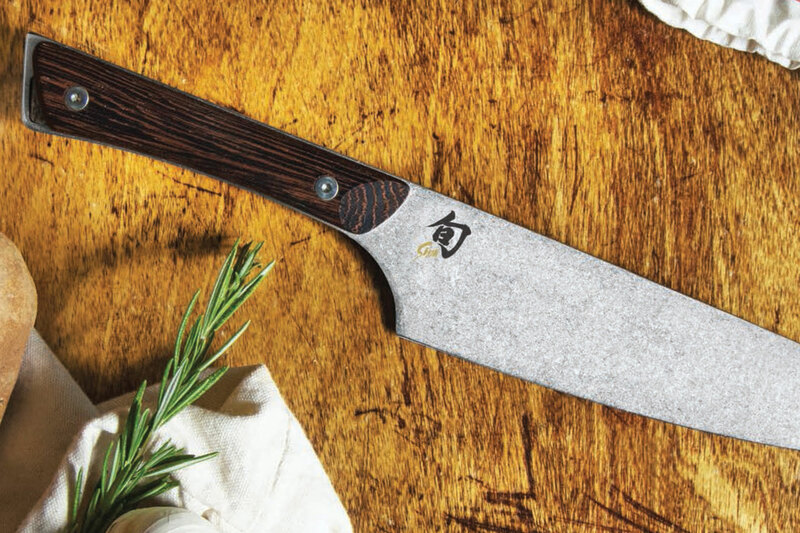 The belly part of the blade (from mid-blade toward the tip) can be gently "rocked" through fresh herbs or spices to produce a very fine mince. 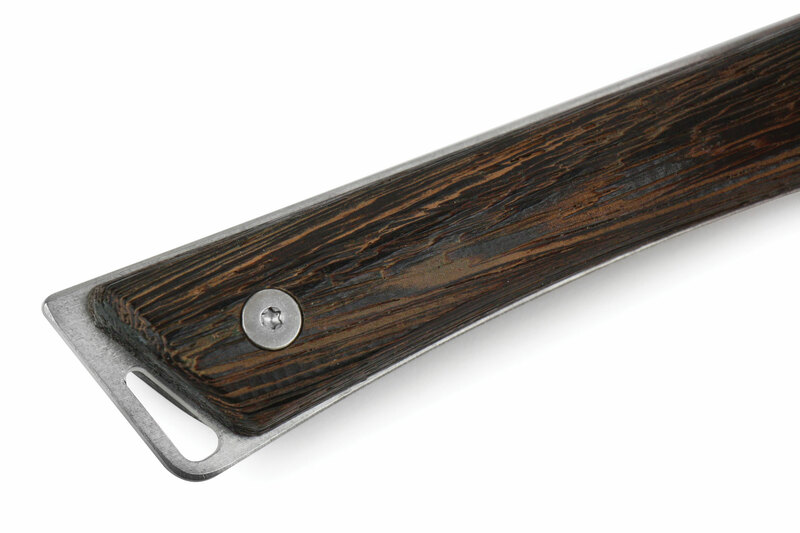 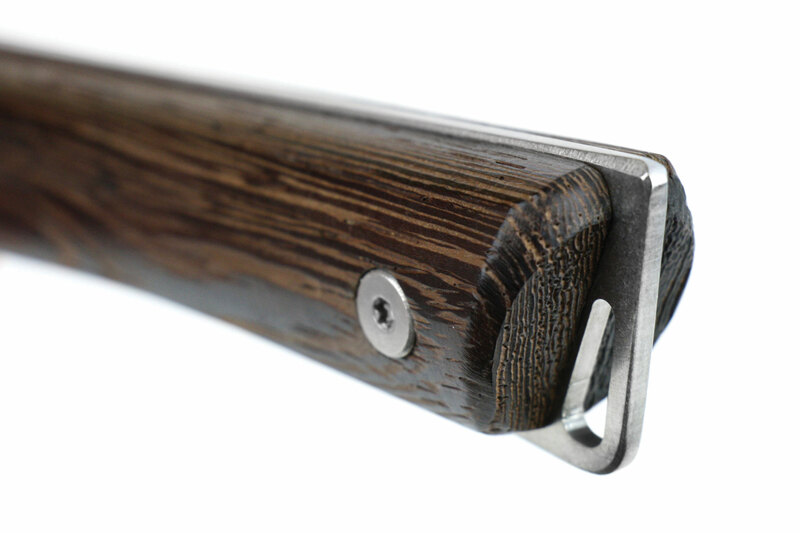 The tagayasan wood handle is slightly contoured, enabling an easy and comfortable grip while cutting. 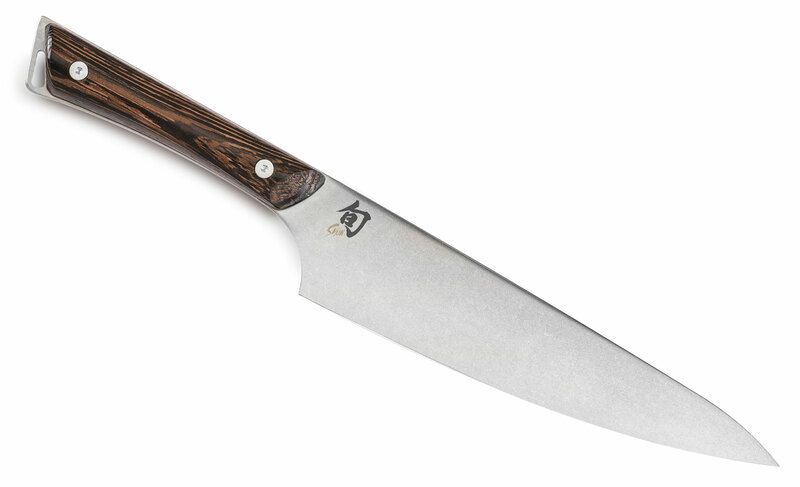 https://www.cutleryandmore.com/shun-kanso/chefs-knife-p135139 35139 Shun Kanso 8" Chef's Knife https://cdn.cutleryandmore.com/products/large/35139.jpg 114.9500 USD InStock /Cutlery/Chef's Knives The Shun Kanso Chef's Knife is ideal for a wide variety of cutting tasks. 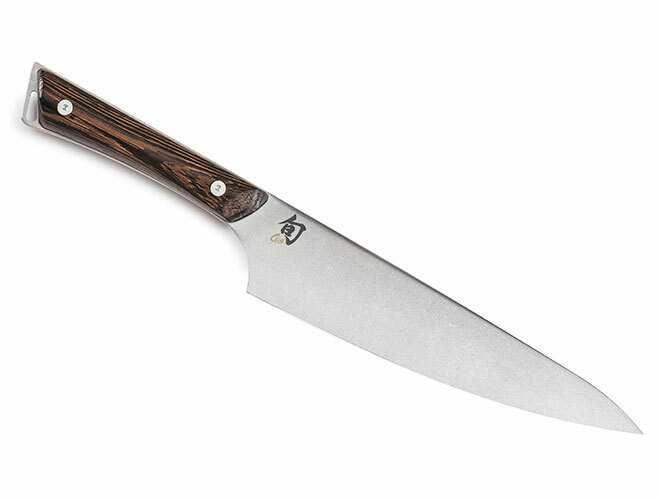 The 8-inch length is perfect for preparing fruits, vegetables, proteins, and a wide variety of other foods. 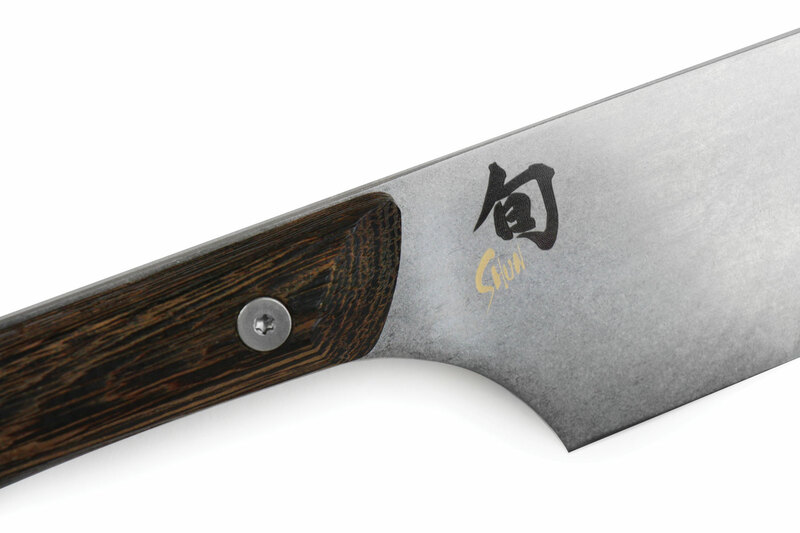 It's based on its Asian counterpart, the Gyuto and offers a wider heel with a fairly flat profile toward the heel, perfect for push cuts. 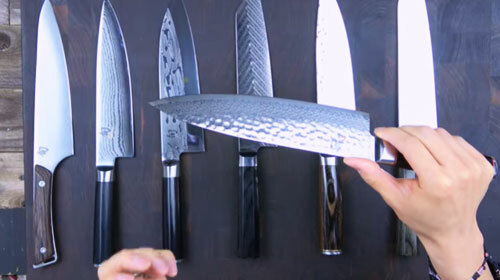 The belly part of the blade (from mid-blade toward the tip) can be gently "rocked" through fresh herbs or spices to produce a very fine mince. 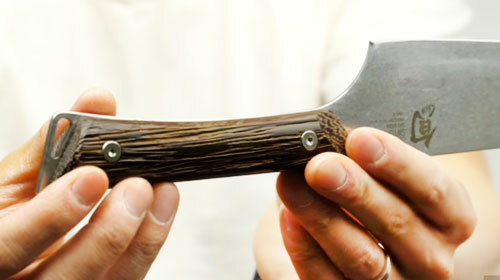 The tagayasan wood handle is slightly contoured, enabling an easy and comfortable grip while cutting.